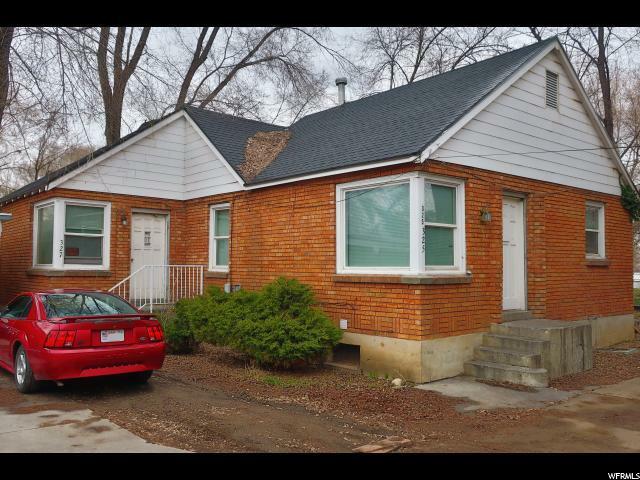 Classic duplex, 1-bedroom unit in front and 1-bedroom unit in rear. Nice yard, plenty of parking. Due to shared driveway & carport, MUST BE SOLD WITH DUPLEX NEXT DOOR, Tax ID# 12-087-0007. Square footage, property characteristics, and rental figures are provided as a courtesy estimate only and were obtained from county records and previous MLS listing data. Buyer or buyer's agent is advised to verify all. Listing provided courtesy of Besst Realty Group. Information deemed reliable but not guaranteed accurate. Buyer to verify all information. © 2019 Wasatch Front Regional Multiple Listing Service, Inc., All Rights Reserved. Heating Features Forced Air Interior Features Range/Oven: Free Stdng.